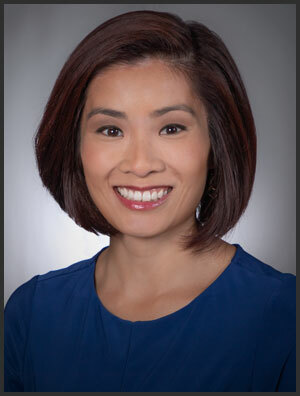 Pauleen is a three-time Emmy-nominated journalist who joined CBS 58 as a weekend anchor/reporter in October of 2018. She’s excited to be back in Wisconsin. Pauleen started her career at WKBT News 8 in La Crosse and WLUK FOX 11 in Green Bay. She comes to Milwaukee most recently from Fort Wayne, Indiana where she helped launch and anchor the morning show at Fort Wayne’s NBC affiliate. Her career has taken her on special assignments to Los Angeles where she followed local contestants during their journey on NBC’s The Voice. She also traveled down to Moore Oklahoma, to cover the Coulee region’s efforts to help tornado victims recover. Pauleen is originally from Eagan, Minnesota and graduated from the University of St. Thomas in St. Paul, Minnesota. When she’s not working, Pauleen loves to try new restaurants, explore new cities and communities and spend time with family and friends. Pauleen says she’s a journalist with a passion for telling stories. Nothing makes her happier than talking to ordinary extraordinary people and using beautiful pictures and creative writing to share their amazing stories with the world. If you’ve got a story idea for her, send her an email at ple@cbs58.com and don’t forget to connect with her on Facebook and Twitter. 1-on-1 with James Corden: Aaron Rodgers, the Packers and a visit to Wisconsin?